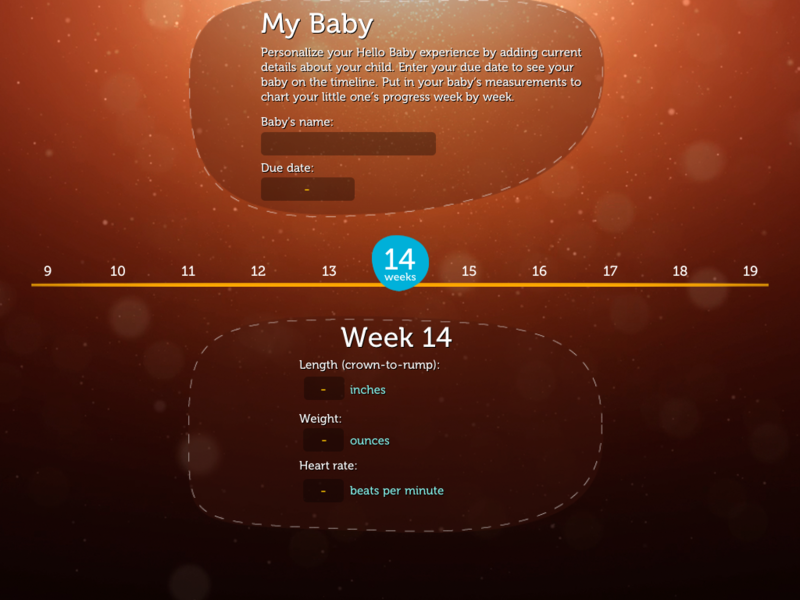 Hello Baby – Pregnancy Calendar, made by Pampers, is a must have application for expectant mothers. It’s made for the iPad, and best of all, it’s free. This application is also a great resource for OB/GYN physicians to use in the office setting with patients. Other providers who perform prenatal visits, such as family medicine practitioners, could use the app in the same capacity. When you open up the app you are shown a picture of a fetus, and can scroll through to the applicable gestational week. Once at the correct week, you are able to view key anatomical information of the fetus. 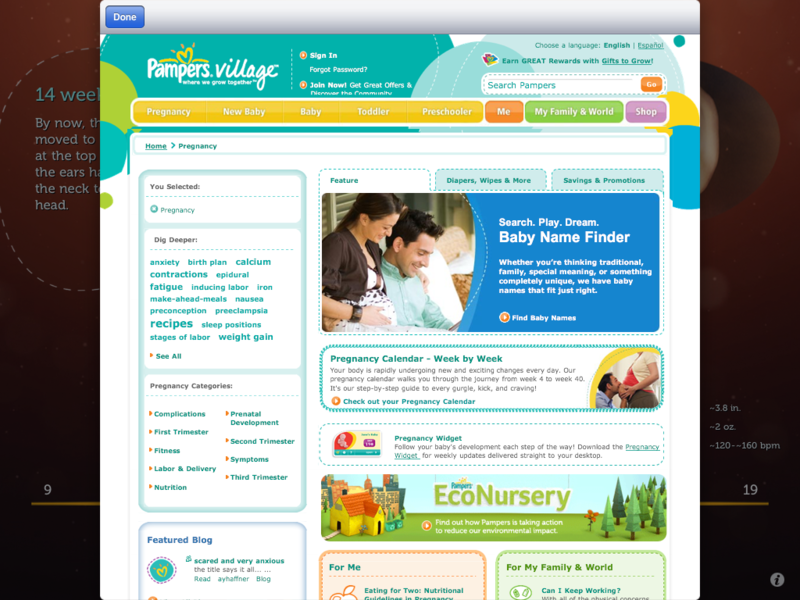 The app allows you to connect to the pampers village website, and also has social integration built in. If you have an iPad in the office setting and you perform pre-natal visits, this is a must have application to use with patients. Along with informing your patients of the key benchmarks during their pregnancy, they would appreciate being able to visualize what you’re talking about. Often times the best part of a pre-natal visit is when you check for fetal heart tones – the highlight of the visit for patients and family members. 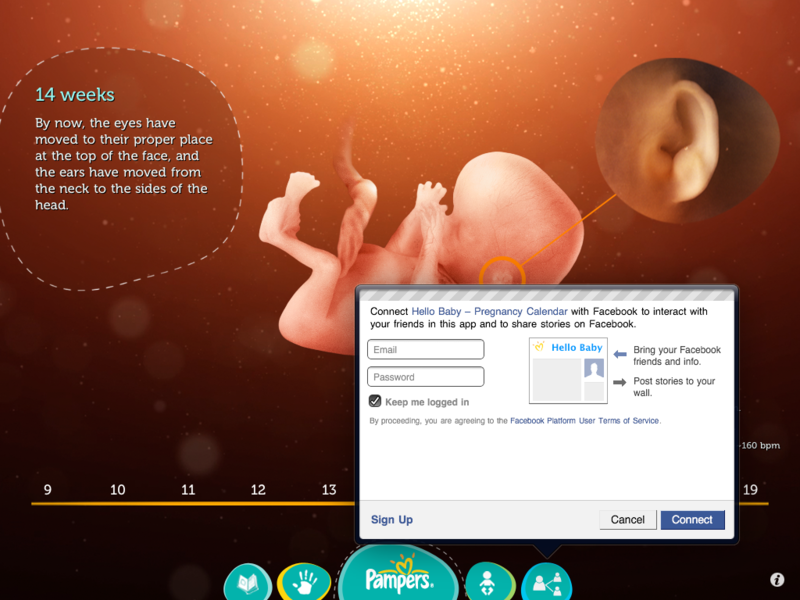 This iPad app allows your patient to now visualize their fetus, adding to the already standard auditory feeling received from the fetal heart tones. On a side note, it’s great to see free functional apps being provided by companies such as Pampers. Although this app is a blatant advertisement for the company, it provides a great level of functionality and service for patients. When is this out in the uk? This app needs to be made to be used on android phones too. I have many clients that have android phones and want this app.